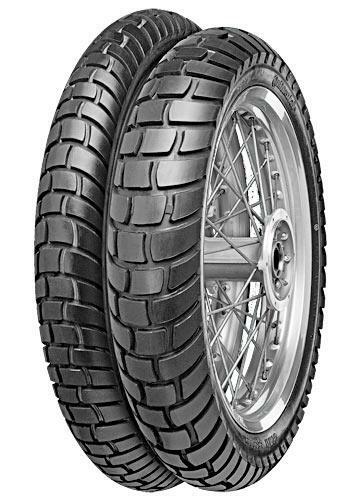 From the votes of 12,000 MCN readers, here are your top 10 adventure tyres, ranked in order of longevity. The Battle Wing series combines rugged off-road looks with sportier on-road performance, longer wear life and more comfortable ride. 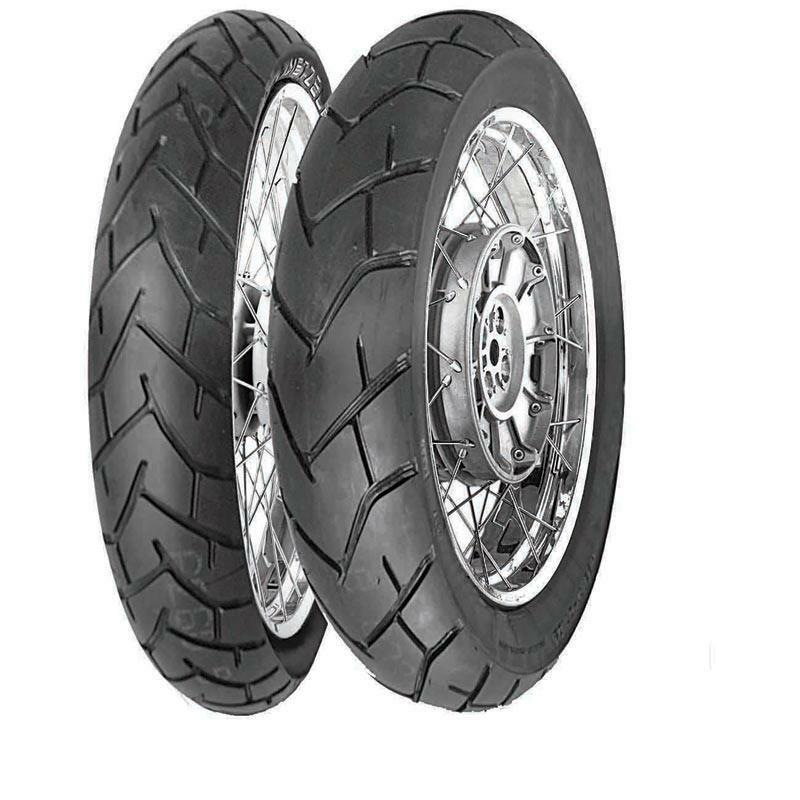 It is designed specifically for riders of the latest adventure sport bikes, who seek the ability to move at will from city streets and motorways to dirt tracks and mountain bends. The Trailwing is a slightly more offroad version of the Battlewing – Bridgestone say approximately 80 per cent road focussed and 20 per cent offroad focussed. The Trailwing still boasts excellent high speed stability, handling, wet performance, and all-round street use performance as well as being able to cope with dirt. The EXP has Metzler’s patented 0 degree steel belt technology on the front and the rear to give better braking stability, whilst improving absorption when being used offroad. The tyre is aimed at being used for the majority of the time on road, and the new tread pattern shows this. 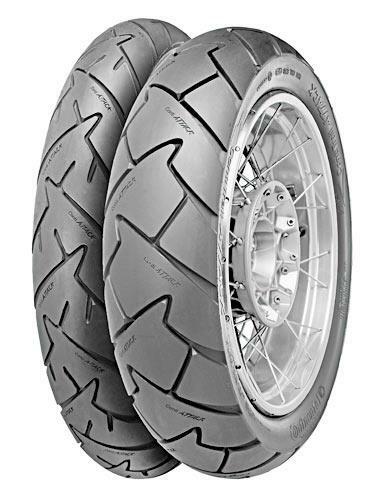 Claimed to offer excellent grip and durability, with the Anakee 2 delivering at least 29% better tread life than its nearest competitor, with no compromise in wet weather grip. Michelin reckon this tyre performs so well because it uses technology they’ve taken from the track with the tyre construction. 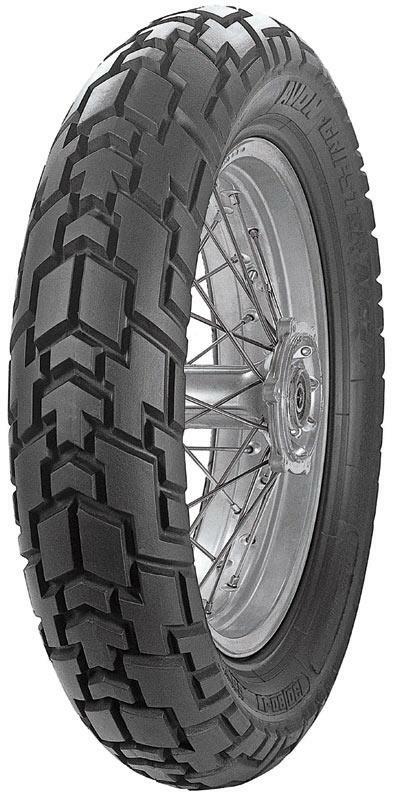 The ContiTrail Attack is a road-focussed big trailie tyre for the likes of BMW’s GS. It’s a direct development of the ContiRoad Attack tyre. 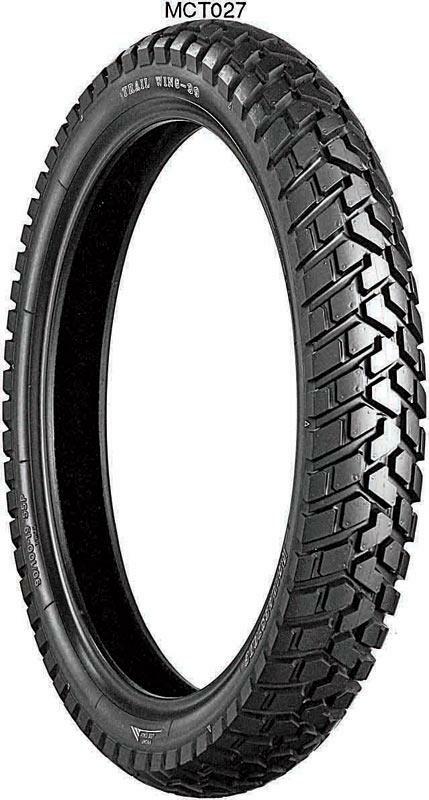 Therefore, this tyre is designed for urban machinery but with comprehensive road performance. The Distanzia is aimed at the adventure bike market, however there are also fitments for supermoto machines, too. They have a rugged tread pattern and a compound design that’s more road focussed than offroad. Various speed ratings are available to suit different machines. 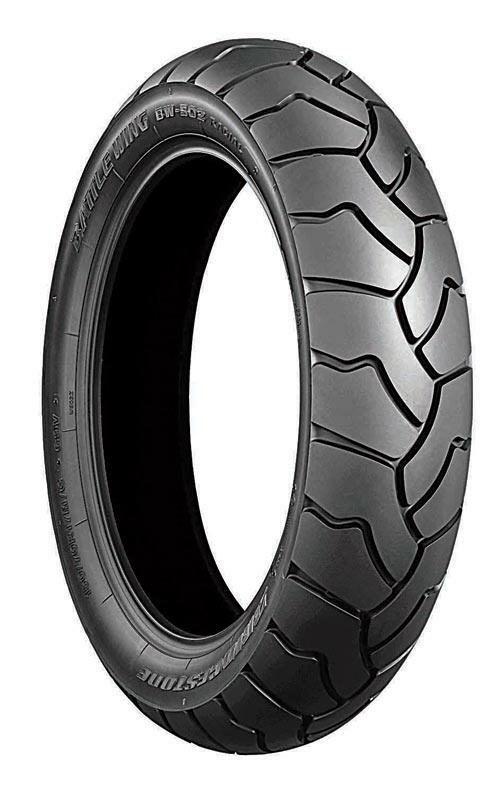 Designed for big capacity adventure tourer types, this is the tyre that comes as the standard OE fitment on the BMW GS Adventure collection. It’s equally focussed on getting good road and ofraod performance. 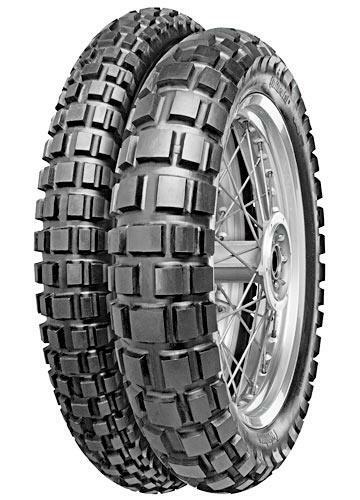 A more offroad focussed knobbly tread design means these will cope adequately with heavy offroad situations. 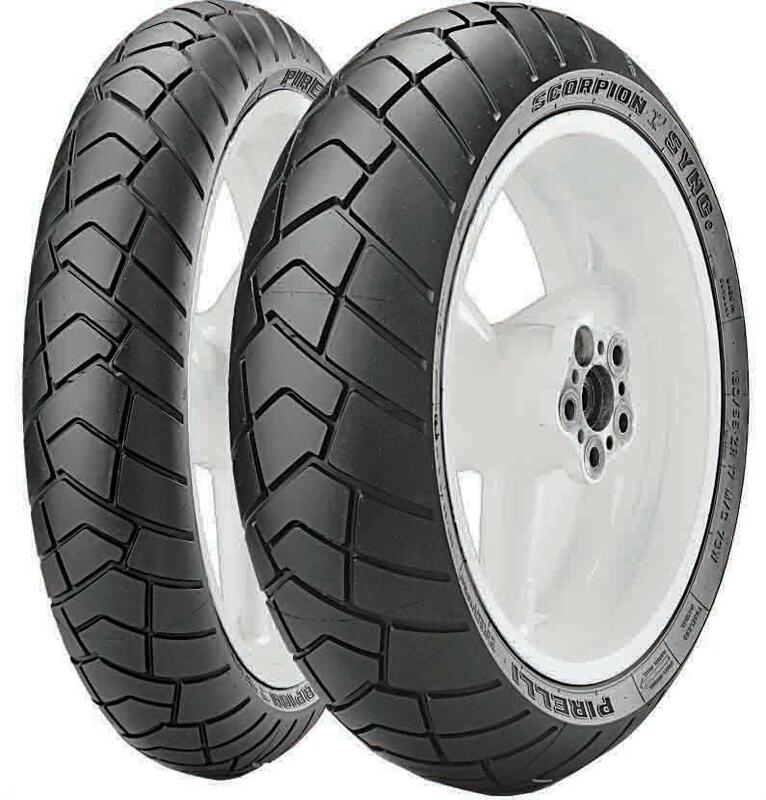 Not only does the Scorpion boast a wide range of tyre fitments, Pirelli also claim it has good high speed stability even when fully loaded thanks to carcass stiffness and advanced rolling comfort and cornering stability on dirty roads. They’ve made a special one for the new Ducati Multistrada 1200, too. 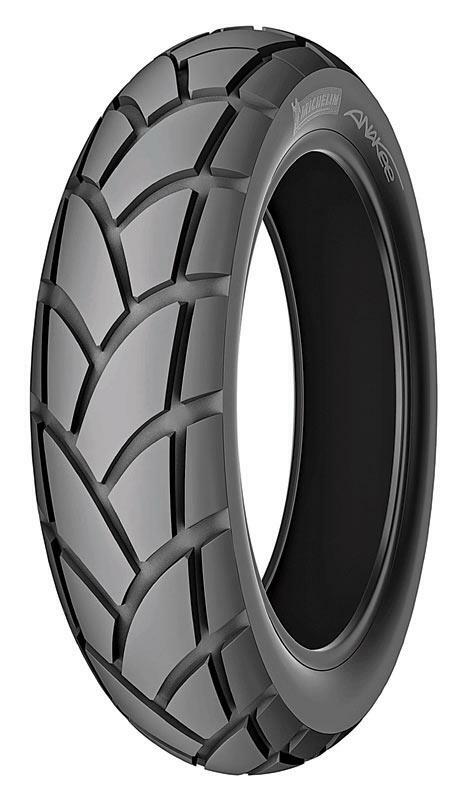 The tread pattern on the semi off road Gripster tyre is computer-optimised and has an arrow-headed pattern. It’s been okayed by Avon to be used on tarmac and firt but is really designed for mid-range trails bikes. 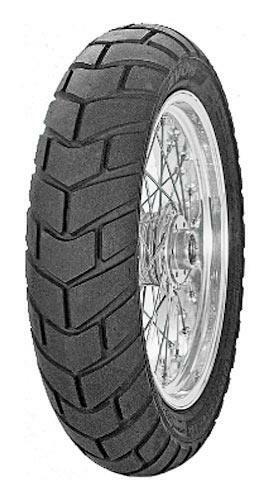 Like the ContiTrail Attack, this is a tyre specifically for adventure machines but with road-focussed attention. It’s been developed to be used in all weathers and on every road condition. But it does have a mild offroad tread design, so it’s capable of coping with gravel and light dirt tracks.